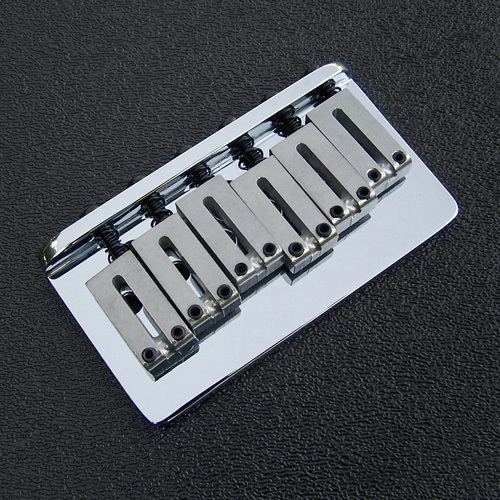 Genuine Fender® American Standard Strat® Chrome Hard Tail Bridge Assembly. Brushed chrome saddles with offset intonation screws. Base plate dimensions: 2.875" x 1.560". 2-1/16" E to E saddle spacing. For right handed guitars. Through body stringing. Mounting screws NOT included, they are available here. Includes only those items shown in the photograph to the right.